The current Principal Guest Conductor of the Cantelli Orchestra is M° Romolo Gessi. Born in Trieste, March 25th 1960. Music studies in Conservatoire Tartini in Trieste, obtaining Diploma in Violin. Conducting studies at the State Conservatoire St.Petersburg, under Musin and Kukuskin; Wiener Meisterkurse für Dirigenten in Vienna with Julius Kalmar; Accademia Musicale in Pescara with Donato Renzetti, obtaining Diploma with the highest marks. He is Music Director of the Friuli Venezia Giulia Chamber Orchestra, Principal Guest Conductor of the Cantelli Orchestra, of the Filarmonia Veneta Orchestra, of the Pro Musica Salzburg Orchestra, and Artistic Director of the Villa Codelli's Festival in Mossa. From 2006 to 2008 he has been Music Director of the Cantelli Orchestra in Milan, of which he remains Principal Guest Conductor. He has won many awards, including second prize at the “Gusella” International Conducting Competition in Pescara in 1993, the prize for best performance at the Opera Conducting Competition in Caserta in 1994 and, in the same year, the first prize at the International Austro-Hungarian Conducting Competition of Vienna and Pécs. Following these successes, he was appointed Professor of Conducting at the Conservatorio "Giuseppe Verdi" of Milan. He has also taught at the Centro Lirico Internazionale of Adria and at the European Master classes held by the Teatro Lirico Sperimentale of Spoleto where he was regularly entrusted with the preparation of the Theatre Orchestra which he himself conductecd on various occasions in Italy and abroad in both symphonic and opera repertoires. Since 1997 he has been teaching at the European Conducting Academy in Vicenza. 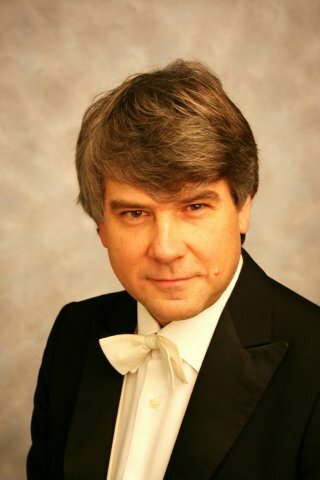 He is titular Professor of Chamber Music at the Conservatorio Tartini in Trieste and Professor for Conducting at the International Opera Workshop OperAverona, and at the Berliner Meisterkurse. He has also been Guest Professor at the Vienna Music University, at the Norwegian Music Academy, and at the Conservatoire Royal de Mons. He has conducted several Orchestras such as the Wiener KammerOrchester, the Radio Symphony Orchestra Cracow, the State Opera Prague, the Pro Musica Salzburg, the Ploiesti Philharmonic, the Izhevsk's Russian State Symphonic Orchestra, the Pécs Simphony Orchestra, the Bacau Philharmonic Orchestra, the Sofia's Soloists, the Santo André Symphony Orchestra, the Gainesville Symphony Orchestra, the Norwegian Academy Symphony Orchestra, the St. Christopher Chamber Orchestra of Vilnius, the Cantelli Orchestra, the Orchestra Filarmonia Veneta, the Milano Classica, I Pomeriggi Musicali of Milan, the Trieste Opera House Orchestra, the Cagliari Opera House Orchestra, the Toscanini Philharmonic Orchestra, the Orchestra di Padova e del Veneto, the Sanremo Symphony Orchestra, the Bari Symphony Orchestra, the Lecce Simphony Orchestra, the Orchestra Filarmonica Marchigiana, the Orchestra Stabile “Donizetti” of Bergamo, the Pescara Symphony Orchestra, the Genova Philharmonic, the Orchestra del Teatro Lirico di Spoleto, the Orchestra Sinfonica “Gianandrea Gavazzeni”, the Alpe Adria's Soloists, the Serenade Ensemble, with the participation of soloists of international repute, such as Joaquin Achucarro, Giuseppe Albanese, Giovanni Angeleri, Emmanuele Baldini, Darko Brlek, Enrico Bronzi, Alessandra Carani, Mario Carbotta, Nazzareno Carusi, Max René Cosotti, Gabriella Costa, Myriam Dal Don, Silvia Dalla Benetta, Giulio Franzetti, Roberta Gottardi, Franco Gulli, Raymond Guyot, Kerstin Ibald, Enrico Intra, Eduard Kunz, Karine Levasseur, Laura Magistrelli, Daniela Mazzucato, Fabrizio Meloni, Massimo Mercelli, Federico Mondelci, Andrea Montefoschi, Nair, Angelo Persichilli, Cheryl Porter, Francesco Quaranta, Alexandre Razera, Alexandra Reinprecht, Mauro Rossi, Luisa Sello, Črtomir Šiškovič, Giacobbe Stevanato, Antal Szalai, Wilfried Tachezi, François-Joël Thiollier, Mariangela Vacatello, Lorna Windsor in Italy's most important cities as well as in Austria, Belgium, Brazil, Croatia, Czech Republic, Germany, Hungary, Lithuania, Norway, Poland, Rumania, Russia, Slovenia, Spain, Sweden, Switzerland, and in the USA.